A few weeks ago I wrote about New Super Mario Bros, which I found more nostalgic than “new,” and except for the multiplayer, I found it rather lacking in the “Bros.” department. I happened to like that game, despite my usual disdain for Mario, who quite honestly, has become a bit of a sellout since his return from Dinosaur Land. Well, in my opioid haze of nostalgia, I happened to forget the mowing-the-lawn-with-fingernail-clippers experience of most platform games, and I thought I’d check out Super Mario Sunshine. After sitting in front of my computer for fifteen minutes trying to think how to cleverly introduce the game, the only thing I can really say about Mario Sunshine is how much it made me appreciate my Amazon seller account. Sure, they look cute, but try smuggling a box of them into a movie theater. As I established in my New Super Mario Bros. post, attaching a complex story to a Mario game shows about as much understanding and respect for the series as a game of Pin the Tail on the Rembrandt. A quick glance at the ol’ timeline o’ Mario games reveals, well, two things, really. 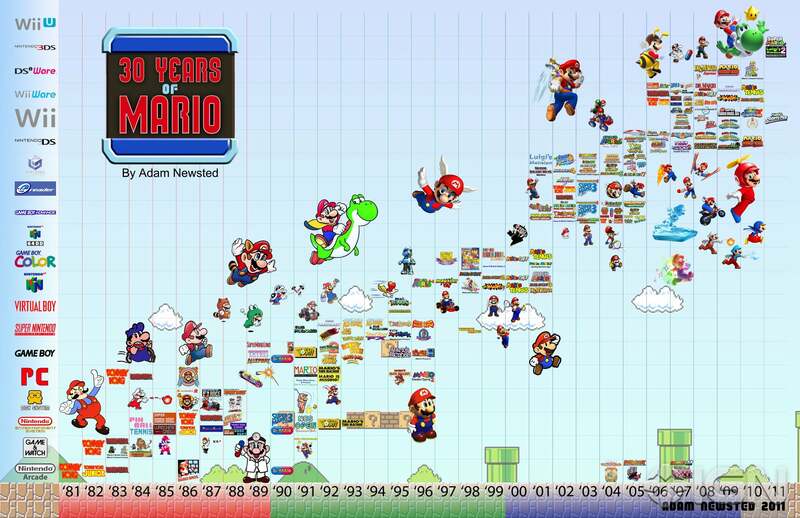 First, that Mario is replicating at the pace of a well-fed bacterial colony (despite the legion of pills Dr. Mario has been popping) and we should probably get a cream or something to treat the infection. Second, that Mario Sunshine was one of the first to attempt a rational story behind the “plumber takes mushrooms, sees flying turtles, talks to dinosaurs” scenario. After their last big adventure, Mario and Peach go on vacation, drawing a complete blank on what happened the last time they took a holiday arriving on a tropical island populated by morbidly obese nerds candies, they find a pile of sludge and a Mario impostor. Naturally, no one can tell the two of them apart, even though the evil Mario’s swirly blue texture from hat to boots would be enough to spark the light bulb over Lois Lane’s head. After a short trial, the Nerds slap Mario with community service, charging him with cleaning all the sludge and graffiti off their island. While Sunshine obviously wants to piggy-back of Mario 64‘s success, I do lament the old days when Mario could wrap his legs around a pole and slide down like an ostentatious stripper, then put that level to rest. Instead, like every other game since the N64 era, it becomes a scavenger hunt. While you searched for stars in Mario 64, Mario Sunshine has you out collecting–you guessed it–all the M*A*S*H memorabilia available on ebay! Just kidding, you have to look for suns to resolve some side plot where half the island is covered in shadow, and you’ll do this by repeating the same half-dozen levels until the extended electrical strain melts your game cube and starts a minor house fire. The problem is, even in the revitalized, 3-dimensional Mario 64, which also repeated levels enough to give Dora the Explorer and aneurysm, it still felt a little bit like a Mario game. You stomped goombas, chucked koopa shells, and chased mushrooms that grew out of the foundation of Peach’s castle. Mario Sunshine, on the other hand, removes the classic enemies, pipe transit system, and there isn’t even an airborne punctuation mark hanging out anywhere in this tropical paradise–but they retained precarious ledges over bottomless holes as though we only play video games because we have a gravity fetish and wish to simulate the deaths of 1930s stock brokers. Most of the gameplay centers around use of Mario’s water cannon, and using that to spray enemies and walls. 3D platformers almost always play like frisbee golf during a hurricane, but you’d have better luck putting out your house fire by grabbing the fire hose by the hydrant end than you would aiming the water cannon. Certain segments even require simultaneous running and spraying, both tasks operated by the control stick, and since the water cannon uses an inverted aim, it gets rather difficult to hold it both up and down at the same time. Will someone explain to me how spraying a squid with water is supposed to hurt it? I’ve often heard it said, though, that if you put enough monkeys in a room with typewriters, they’ll eventually pound out the proper coding to control a Mario game. Mario Sunshine controls entirely unintuitively. One lovely example is climbing around on wire grates, as in Super Mario World, but with an extra dimension. When climbing vertically, the B button flips the gate to the other side while the A button detaches Mario and launches him into the vast, empty sky like a bra at a One Direction concert. However, when climbing and/or dangling horizontally, the A button flips the gate and the B button detaches you. I spent a lot of time falling and climbing before deciding I really didn’t need that sun after all, after which I went back to the hub world and searched for more levels, hopping from rooftop to rooftop as though Mario would rather be playing Assassin’s Creed–and honestly, so would I. While in elementary school, I harbored this deep, shameful secret: I had beaten Mario 2 and 3, but I could never get past world 8-2 in the original game! Only much later did I realize that Super Mario Bros. was harder to get through than Chicago during rush hour. However, at Anne’s insistence, I’ve recently begun to tell myself that I don’t need to finish games that make my hair prematurely gray (note: my barber has been finding gray hairs since I was in 11th grade). Redeeming features? Running around underneath the hub city is the closest we’ll ever get to see Mario doing actual plumbing. Also, I got a kick out of buying stars from a giant tanuki who we never see from the waist down (google “tanuki” images if you don’t get it. NSFW). Still, a 21st-century video game that still uses lives may become a self-fulfilling game feature. The more times it makes me restart at the hub world just to get to the one difficult ledge I keep falling off, the more I feel that the “Game Over” screen is a wise truth I must accept. If a shot of penicillin won’t relieve the burning, I suggest fumigation. And stay away from fire flowers in the future. On a related note, check Amazon for a new copy of this game, appearing soon! This entry was posted in Game Cube, Mario, Uncategorized and tagged Game Cube, mario. Bookmark the permalink.